The first farmers market recipe I attempted was a cocktail. I became concerned because Carolyn called to inform me that Barefoot said on her show that wine changes flavor after one day. I assumed that this counted for cava as well. Plus I had a small amount left over from happy hour, so I did a spin off of the other recipe. 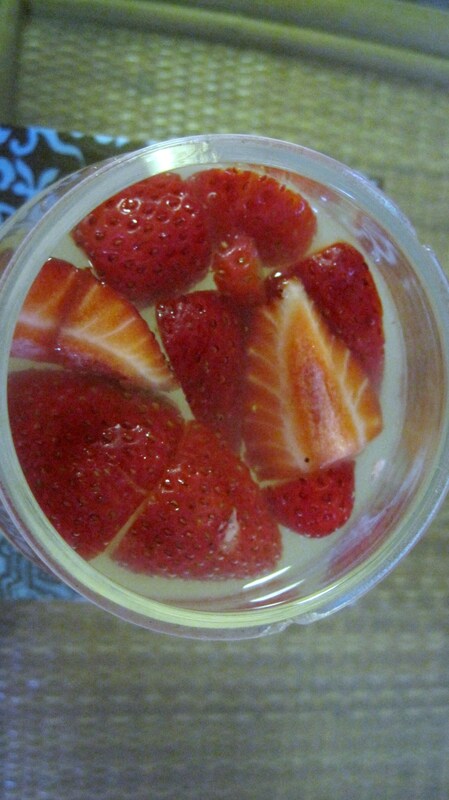 Strawberries, lemonade, topped off with a bit of cava. Nothing better then letting fresh fruit flavor sink into some lemonade. Yum. 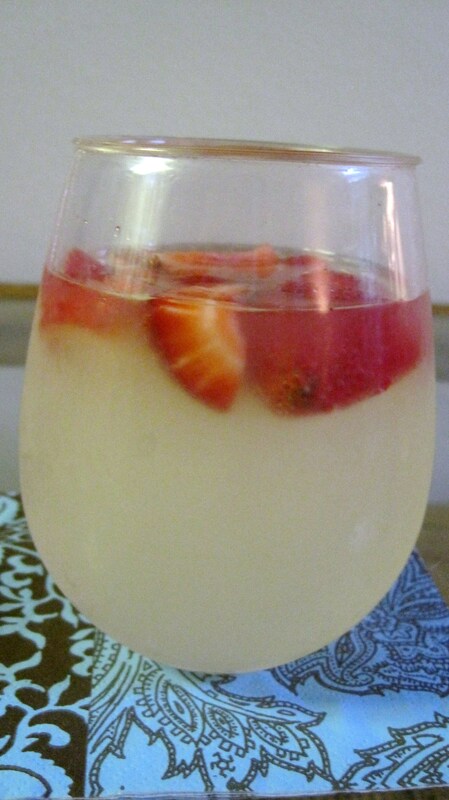 Theres nothing like lemonade with fresh fruit on a hot summer day! It adds to the sweetness and the fruit is so refreshing to eat! Love it!